Still interested in the underwear as outwerwear trend? 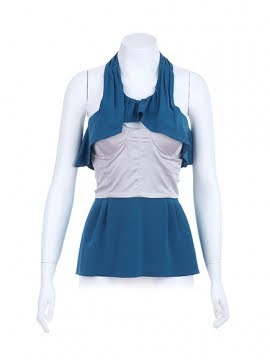 Well this Vena Cava halter, bustier combo top certianly fits that bill! Buy at the great shop that I keep forgetting about, Covet Shop, for $130.